Monessen's Mantel Surround and Hearth for 24-Inch Fireplaces is a striking example of Monessen's dedication to making your hearth appliance the focal point of the room. 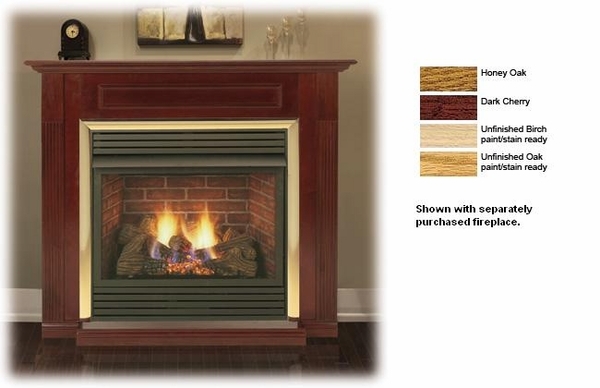 This surround and hearth comes in three different finishes, dark cherry, honey oak, and unfinished oak, and constructed from birch or oak wood. This wall surround, with hearth included, will draw the eye of any visitor with its intricate detailing, making it easily stand out from other traditional hearths.